As a client-oriented and a full service law firm, means that UGGC Advocats values their clients in the long run, offering them long-term assistance through all of their operations, rather than a monotonic, punctual intervention. The firm has witnessed a constant growth of its turnover and staff for 20 years, without any cyclical effect. With 31 partners, each partner is recognized as a top specialist in his/her field and together, they cover all aspects of business law. 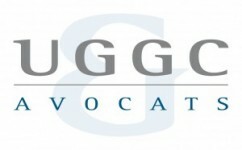 UGGC’s staff is made up of 150 people that includes more than 100 lawyers, a third of whom practice outside of France. UGGC ranks among the 10 top independent French law firms based on the number of lawyers it employs and its turnover.